Michael Johnson is the State Transportation Asset Management Engineer at Caltrans, a responsibility that includes the management of both bridges and roads. 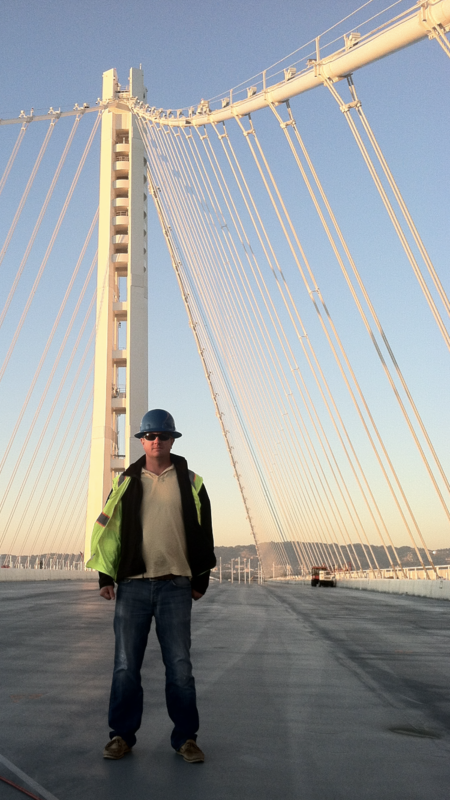 Beyond his work at Caltrans, Michael is very active in the bridge preservation community and with TSP2. He is the Chair of the AHD37 Bridge Preservation Committee, which gathers more 80 people representing DOTs, Academia, FHWA, and TSP2. He is also a member of TRB AHD00 Section – Maintenance and Preservation, ABC40 Standing Committee on Transportation Asset Management and AHD35 Standing Committee on Bridge Management. I had quite a long conversation with Michael about his job, career and commitment with bridge preservation. Could you talk about your education and career path? My education includes a Bachelor of Science Degree in Civil Engineering from California State University in Sacramento and a Master in Science with Structural Engineering concentration from the same University. I am a licensed Professional Engineer in California. My 28-year long career has been entirely with Caltrans. I spent my first two years going through the Caltrans’ rotation program, which is a great program for new engineers in the bridge area. During the first two years of employment, a new engineer gains experience of bridge maintenance, bridge design and bridge construction, thus getting a broad understanding of how to design and construct a bridge, and also what kind of maintenance issues a bridge may have. I started out as bridge inspector and worked for a number of years in this position. 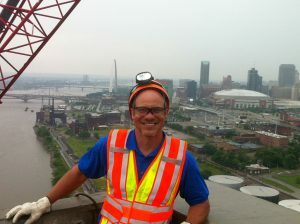 Since California was a pilot State for element level bridge inspection, I was very involved with this program early on. It ultimately led me down a path that included co-authoring the AASHTO Bridge Element Inspection Guide Manual that is used today nationwide. I then progressed to Bridge Management. I ran bridge programs with focus on project scope, funding and decision-making in order to prioritize projects. I was also managing the underwater inspection program, the fracture critical inspection program, in-house paint programs and all of data management for bridge inspection. This job married my prior inspection background with my management expertise. My current position was created to implement asset management across all of Caltrans managed assets. In this role I have extended many of the concepts I learned in Bridge Management to a broader set of assets. The biggest physical asset in California is represented by pavement. Bridges are the second most heavily invested asset. We also have a fairly large program for culverts, and transportation management system elements. The big four assets are definitively pavements, bridges, culverts, and our transportation management system elements. I have two broad responsibilities as Caltrans State Asset Management Engineer. The first is to oversee the implementation of asset management in Caltrans. The second broad duty involves the management of Caltrans rehabilitation program, which is $4.4 billion annually. This program covers rehabilitation and replacement of physical infrastructure, safety preservation operations and more. It includes all the facilities that Caltrans owns. It is quite broad. Could you talk about Caltrans Transportation Asset Management Plan (TAMP), its goals, challenges and achievements? The TAMP (Ed Note, see links below) presents a fairly high level of strategic framework for how we are managing infrastructures in California. There are many components in this plan, but its core is what we call the three-prong asset management approach. The first component includes programs to support highway and bridge crews, thus recognizing their importance for the preservation and maintenance of the State Highway System. Caltrans has crews that specialize in bridge maintenance and repairs. Caltrans is also one of the few DOTs that have in-house structural steel painting crews with the number of painters totaling more than 100. The second aspect of the three-prong asset management approach is the preservation program. The goal of this program is to slow down deterioration or delay future rehabilitation and replacement. We have a very robust maintenance program including many types of preservation treatments. This program’s expenditure is approximately $500 million per year for pavements, bridges and culverts. The third and final element of the three-prong approach entails the major rehabilitation and replacement program, which is about $4.4 billion annually. This program covers physical asset as well as operational aspects, safety, congestion and others. A major overall achievement of the TAMP program has been the implementation of a Performance driven approach, which is helping us to be more consistent with our investments over time. In the past, the emphasis was on the value of what was spent on a single asset, while now it is on how much the conditions or the performance of that asset have improved. In the past we also had a tendency to invest heavily in the hot item of the time, thus moving from one hot item to another instead of having a more consistent and disciplined approach. Finally, through the asset management plan development, we enhanced transparency and accountability in our management. Since we are bringing good results, this approach has led us to get additional resources for the preservation and rehabilitation of our system. So there has been a very positive outcome as a result of the implementation of TAMP. We now have people and funding to take proper care of our highway system. 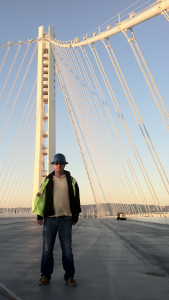 How can bridge maintenance engineers at Caltrans take advantage of TAMP? TAMP’s focus is on measured performance outcomes. By doing this, the program really highlights the benefits that maintenance programs bring to the Department. The recognition of these benefits has in turn led to more funding and more people being available for maintenance and preservation statewide. These are certainly of great assistance to maintenance engineers. California recently enacted a significant gas tax increase; the first one in many years. Politically it was not an easy thing to do. Our work in asset management helped provide confidence that we had a good management structure in place and we can quantify needs very well. A solid asset management approach helped to justify a significant funding package for transportation. As we are implementing the asset management plan, with focus on performance management, we are also developing a number of new software tools that are available to bridge engineers. As an example, our maintenance engineers can now go to the web site and see every asset in the highway system, color-coded based on current condition and planned projects. This tool allows engineers to understand the relationship between the assets, their condition and the project portfolios. In Caltrans we could easily be juggling 3,000 projects at a time between planning, design, and construction. Knowing what is going on and what is going to happen for each asset helps maintenance engineers make better decisions about what they want to do and where they want to work. As the chair of TRB “AHD37 Standing Committee on Bridge Preservation”, could you illustrate activity and goals of this Committee? The TRB Bridge Preservation Committee has a fairly broad and general scope advocating for research and activities that extend the life of existing bridges, communicate measures and benefits of preservation, and expand the development of tools and techniques that further bridge preservation. Our effort in the Committee takes us into several areas such as non-destructive evaluation and monitoring, design and construction, strategies for improved service life, bridge preservation training, bridge preservation research, products and materials for bridge preservation. We are also looking at bridge preservation reports and research that are being published around the country, and the development of policies related to bridge preservation at national and state level. Innovation for preservation is one of our general objectives. We want to know what kind of innovation ideas are starting to emerge. Another key objective entails communication. We are looking at how to communicate bridge preservation benefits and to market the value of preservation. We work seamlessly with various aspects of AASHTO, such as the Maintenance Committee and the Committee on Bridge and Structures. We also work with the TSP2 Regional Partnerships and FHWA. The chairs of the AASHTO Committees and the lead of FHWA and TSP2 Bridge Preservation are all members of the TRB Bridge Preservation Committee AHD37. We have basically brought together the leadership of AASTHO, FHWA and TSP2 in the TRB Committee. This makes it easy for the members of the Committee to keep track what is going on in the area of bridge preservation between the various groups and organizations. You also have a strong representation from Academia and industry in the TRB Bridge Preservation Committee AHD37. Could you comment about it? As with all TRB Committees, the AHD37 includes industry members and academic members, in addition to DOTs representatives. At the core, TRB is a research focused organization and we rely on our academic partners for research. The industry is also a critical partner, in particular manufacturers who are producing products and materials for bridge preservation and consultants who provide supporting services. The more we engage with the industry representatives, the more they understand the kind of issues DOTs are having and, in turn, can work on developing products, materials and services that are solutions to the problems that have been identified. Our balanced mix of members on the AHD37 helps make the Committee more successful. What are the focus areas of the AHD37 Committee? A topic of particular interest to the Committee is trying to answer the question of when and why bridges are taken out of service. We are researching questions like: how old should a bridge be when it is taken out of service? When should a bridge be replaced with a new bridge? We initiated a number of different research projects related to this topic. We are interested in the condition and performance of a bridge during the last year of service but also in what functional features the replacement bridge has that the prior bridge did not have. More than one research report shows that bridges are not always being replaced because of condition. A lot of times bridges are replaced because they are no longer functionally adequate or they have other sorts of vulnerabilities. This viewpoint gives us a very broad definition of bridge preservation. Another area of interest to the Committee is understanding the decision variables that should be considered before deciding to replace a bridge. There have been a number of instances where there was the perception that the service life of a particular bridge was near the end. However, when the bridge did not actually get replaced for various reasons, it ended up remaining in service and functional adequate for ten or fifteen more years. This makes us wonder if there might be a better criterion for deciding when it is time to replace a bridge. In other words, preservation may be simply a matter of making better decisions of when a bridge is at end of its life. You are active in a number of TRB Committees. What is the best way for a bridge preservation engineer to keep up with the work of TRB? There is a lot going on in bridge preservation between AASTHO, FHWA, TRB, TSP2 Regional Partnerships and State DOTs. It is therefore really difficult to stay on top what is happening. In order to spread bridge preservation information to all interested people, who many times do not have the opportunity to participate in meetings of the different organizations, we have created the bridge preservation newsletter that is available from the TSP2 Bridge Preservation web site. The newsletter has sections that highlight new innovative products and practices, provides a listing of recently completed and on-going research projects, and has a links to research results. The first publication highlights an innovative product for corrosion protection of bridge deck reinforcement. It also highlights some work that is going on between FHWA Bridge Preservation Expert Task Group and TSP2 to produce bridge preservation pocket guides. The newsletter has a fairly comprehensive list of research projects completed in the last couple of years or that are ongoing. In a limited number of pages, one can get a quick insight of some of the hottest things that are going on in preservation. The publication is scheduled to be released with some frequency and offers opportunity for publication of topics from different bridge preservation avenues. Could you comment about TSP2 and your involvement with this organization? TSP2 is unique in many respects. It brings together peers from neighboring Agencies, thus helping create personal relationships between them. It gathers industry expertise and academic perspective all focused on bridge preservation. Meetings are hands-on and very practical. At TSP2 people do not generally talk about research programs that are going to happen, but the talk is about everyday preservation problems and sharing different ideas on how to address these problems. I became active with TSP2 because of its peer connection. It can really benefit you to know the people who do your same job in the nearby States. Once you develop the relationship, you can call these people, exchange ideas and get the benefit of their experience. I have an example of this. The State of Utah’s TSP2 member was concerned about cutting access openings to the bottom of box girder bridges. He was worried that it would cause damage to the bridges. When he called me to ask about my experience with this practice, I had to chuckle. We cut hundreds, if not thousands, of access holes into bridges in California following major earthquakes and we have never had a problem. I was able to provide reassurance to the engineer from Utah DOT about the reliability of the practice. I was also able to share Caltrans standard plan showing how and where to cut access openings in box girder bridges. I am sure that in 20 minutes the Utah representative felt a lot better about what he was going to do and how to plan for its execution. This is an example of the power of TSP2. In your opinion, what are the major challenges that DOTs and local owners face in the implementation of successful bridge preservation strategies? I can boil it down to two primary challenges. First and foremost preservation is not really as celebrated as new construction is. Preservation is not particularly attractive in this regard. I think that our culture needs to change. We need to celebrate preservation the same way we would host a ribbon cutting ceremony for a new facility. The second challenge is closely related to the previous one. In order to make preservation more attractive and investments more appealing broadly, we have to do a better job of communicating the benefits of preservation in a very clear and understandable way. Could you point out one or more projects that you fondly remember? I had the benefit of being involved in two projects that kind of stand out for me. One was an emergency repair of a collapsed bridge at the MacArthur Maze that approaches the San Francisco Oakland Bay Bridge. A gas truck had caught fire at the interchange causing the collapse of a second level bridge that landed on the bridge underneath and heavily damaged it. This is a very busy highway in California. My team worked on restoring the bridge that was damaged by the upper bridge collapse by implementing a massive heat straightening effort. Within a relatively short time we actually brought the bridge back from the grave, as badly as it was damaged. I also worked on another project that was notable, but for a different reason. We had installed an acoustic monitoring system for steel cracking on the old San Francisco Bay Bridge before it was demolished. This project was very innovative and ground breaking. It proved the value of structural health monitoring on large scale bridges. To this day the San Francisco Bay Bridge remains one of the few bridges in the world that had such a system installed. This project demonstrated how we can effectively use structural health monitoring to safely extend the life of bridges. 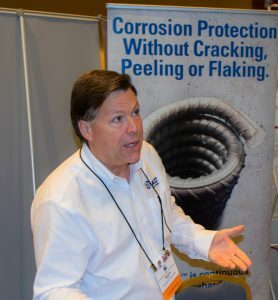 Dave Whitmore is the President and Chief Innovation Officer for Vector Corrosion Technologies Ltd., a Canadian company based in Winnipeg, Manitoba, that operates in North America and worldwide. Dave has an unmatched knowledge and experience related to bridge preservation. He started dealing with preservation issues early in his career that has spanned from contracting to manufacturing and consulting. Dave is active in AASHTO, TSP2 and TRB. He also participates in industry organizations that focus on concrete repair and corrosion. Can you illustrate the path that led you to become the President of Vector Corrosion Technologies? It started in the 1960’s when my father and two partners established a construction business focusing on road and highway construction. The company then got into concrete restoration and became Vector Construction. Having been involved in the family business, I got an opportunity to be exposed to concrete repair early in my career thus gaining knowledge and experience in the concrete restoration industry. After graduating with an engineering degree from the University of Manitoba and an MBA from the Ivey School of Business, I went to work for Vector Construction. I established Vector Corrosion Technologies in the 1990’s, focusing on the product and technology side of the concrete repair business. What about your commitment to the industry? I know that you are active with several Committees related to bridge preservation, concrete restoration, and steel corrosion. I enjoy our industry and the opportunity to participate in a number of industry organizations. I am a big supporter of TSP2. I especially support the annual Regional Meetings and the National Conference that takes place every four years. These gatherings are a great opportunity for industry and DOT representatives to come together, discuss and solve problems. I am involved in other industry groups that are not specific to bridge preservation but share many of the same concerns. These are the American Concrete Institute (ACI), the International Concrete Repair Institute (ICRI), the National Association of Corrosion Engineers (NACE), the Post-Tensioning Institute (PTI) and the American Segmental Bridge Institute (ASBI). (Ed Note: see Linkage section). They are all really good organizations. I am on a number of Committees with these organizations concerning repair, corrosion, specifications and codes. Hopefully the activity of these Committees will help the industry to be more productive and effective in the future. On a personal level, I am happy that I get to meet and spend time with a lot of interesting people. Vector Corrosion Technologies offers products and services to solve corrosion problems, as it is summarized by the tagline: “Innovative Solutions for Corrosion Problems”. Can you introduce your company? Is bridge preservation a focus sector? Helping owners extend the service life of their concrete structures is the mission of Vector Corrosion Technologies. Bridge preservation is a key market segment for Vector. Both in North America and internationally, our focus is on structures that have durability challenges, such as marine structures and bridge decks that are exposed to de-icing salts. These structures suffer the most from corrosion and can really benefit from pro-active bridge preservation activities. (Ed Note: see Linkage section). Can you speak of your core values as the leader of Vector Corrosion Technologies? Persistence and honesty are my core values and I look for these values in everyone I work with. Striving for knowledge and continuing to learn every day is also important. At Vector, these values help us to address a lot of the problems we see out there. Vector’s tag line, “We Save Structures”, is at the core of the company’s strategy for bridge preservation. Has Vector’s strategy evolved over time? If so, how? There is no question that Vector has evolved over time. We started as a contractor and we are now involved in determining the cause of concrete deterioration problems and recommending appropriate repair solutions. We are engaged in the overall process, which helps make sure that our customers have positive results. It may not be widely known but a lot of concrete repairs have not performed very well, or, at least, have not performed as intended over time. There have been a number of reports about this issue. I believe the major reason why many repairs have performed below expectations is that they have been simply cosmetic and have not addressed the underlying cause of concrete deterioration. Vector focuses on the evaluation so that we can understand the underlying causes of deterioration and develop a durable, long-term repair strategy. If I understand correctly, filling a concrete pothole is not enough. In order to have a successful repair, it is important to evaluate the root cause that generated that pothole. Yes, it is easy to do what somebody asks you to do. Do you want me to patch this pothole? Yes, I will patch the pothole. Do you want me to repair this crack? OK, I will repair the crack. But if I don’t address what caused the pothole or the crack, fixing the pothole or the crack will likely be temporary and in the long term will likely end up being a waste of time and money. What are the most popular products and services that Vector currently offers for bridge preservation? Our most popular products for bridge preservation are definitively the galvanic anodes that help prevent corrosion of reinforcing steel. These products are widely used since they are effective, measurable and very simple to install. In terms of services, investigation and testing are critically important in order to determine cause and extent of corrosion problems. Providing these services was a very small part of our business twenty years ago. The evaluation business has increased significantly as people are becoming more aware that it is important to address the underlying cause of a problem and not just fix where they see visible damage. Does Vector Corrosion Technologies offer these services directly to DOTs? In some cases we provide evaluation services directly the DOTs. In many cases we work as a sub-consultant to a prime consultant that is under contract to the DOT. We are not a structural engineering firm. We support structural consultants with evaluation and testing services. Has Vector recently released new products or new services for bridge preservation? We have released three new products specifically for bridge preservation. The first is in the area of galvanic anodes. We released a new line of galvanic anodes that are faster to install. These anodes can be installed in approximately half the time required to install standard anodes. This saves time on site and money as a result of the reduced installation time. (Ed Note: see Linkage section). The second product is a galvanic jacket specifically designed for marine structures. Very often the main issue with coastal or marine bridges is corrosion of the columns that support the superstructure. If you extend the service life of the columns then you can significantly extend the service life of the entire bridge. The new jacket provides improved corrosion protection for the columns from the water line up. Being modular, it is easy to install and can be modified in the field to suit different site conditions. (Ed Note: see Linkage section). The third new product is designed to solve a specific and really important problem related to post-tensioned structures. Working together with Florida DOT, we developed a corrosion protection impregnation technique for post-tensioned bridge tendons. Like any other type of steel, post-tensioned tendons will corrode if they are not well protected. This can lead to tendon failures and eventually bridge closure. Vector’s new post-tension impregnation technique has been shown to reduce corrosion of the tendons by 95%, thus dramatically increasing DOTs’ confidence in the condition of their post-tension structures. (Ed Note: see Linkage section). Could you point out a major challenge that Vector Corrosion Technologies is facing in promoting products and services for bridge preservation? If so, what is your advice on how to overcome this challenge? Despite increasing awareness of the importance of bridge preservation, people still spend a lot of time and money on cosmetic repairs. As we discussed earlier, cosmetic repairs are temporary since they don’t usually address the underlying cause of the problem. As a result, owners end up spending more money than necessary for concrete repairs. My advice is for DOTs to adopt performance specifications and performance requirements. Most DOT specifications are prescriptive and they are often written to the lowest common denominator. This can only lead to low quality work. On the other hand, if you hold the contractor responsible for the work that is performed, the contractor will take more care with the installation thus improving the overall performance of the work. Could you further comment about prescriptive Vs performance-based specifications? In my experience prescriptive specifications are not effective unless they are very detailed and there is a way of checking all of the steps that are specified. As an example, there are many bridge deck overlay and repair specifications that state “clean the surface” or “provide a certain roughness of the substrate” but ultimately bond is what really counts. Having a performance specification that requires a minimum bond strength and provides a way to measure it, is more important than a series of prescriptive statements where no one is held responsible for the final outcome. With regard to corrosion, there are some very important steps that must be taken. For example, it is important to clean the reinforcing steel to ensure there is good electrical contact between the anode and the steel. However, specifications should not only require “cleaning of the steel”, but they should also include performance requirements where the electrical connection is actually measured and confirmed. 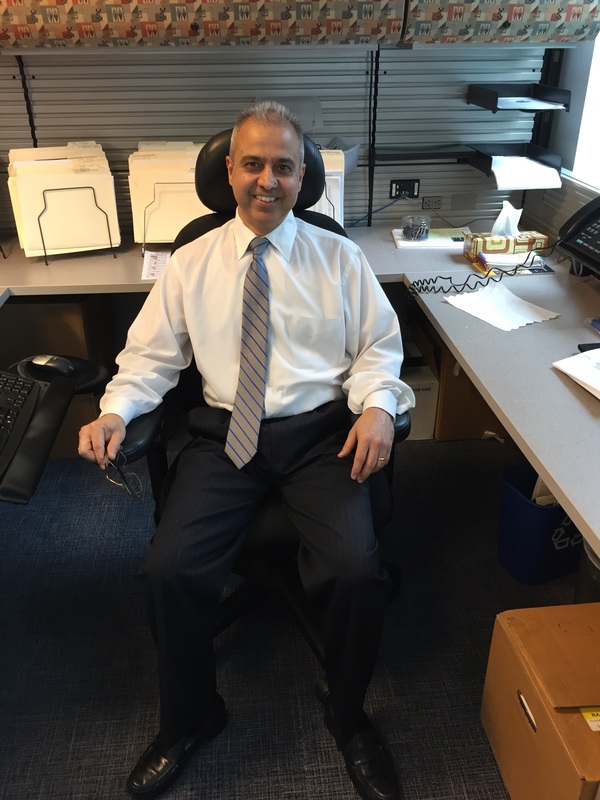 Raj Ailaney is the chair of the Bridge Preservation Expert Task Group (BPETG) that gathers more than 20 people representing FHWA, TSP2 BPP, AASHTO, TRB, academia and industry. I contacted Raj to know more about the goals and the activity of this group that puts together such an unmatched depth of bridge preservation knowledge and expertise. Could you introduce yourself? What is your education? What are the key points of your professional career? I am a Senior Bridge Preservation Engineer with the Office of Bridges and Structures, Federal Highway Administration (FHWA) Headquarters in Washington, DC. In this position, I develop guidance and policies for preservation of bridges in support of FHWA’s performance-based program to maintain a state of good repair. I’ve been with FHWA since 2003 and in my current position since early 2016. Prior to this position, I was an Acting Senior Advisor to the Associate Administrator of Office of Infrastructure. In that position, I provided support and guidance to the FHWA leadership on program and policy issues having national, regulatory, and legislative implications. Before joining FHWA, I was a Project Director with a Consulting Engineering firm in Northern Virginia, where I managed design, construction and inspection of bridge projects for various State Department of Transportation agencies. I’m a 1984 graduate and holds a Masters in Structural Engineering from University of Virginia, Charlottesville, Virginia. I’m a licensed Professional Engineer in Virginia and Maryland. What are the core elements of the BPETG mission? The mission of BPETG is to advance and improve the state of the practice in the area of highway bridge preservation. We continue to work collaboratively with the States, four AASHTO TSP2 regional bridge preservation partnerships, TRB, industry and academia in developing products to promote bridge preservation. Who are BPETG members? How is the activity of the group organized? When I became the Chair in early 2016, I reorganized the membership for national outreach and focused on developing the strategic plan. I created membership based on positions rather than specific individuals. For example, the current members include the chair, or their representatives, from four AASHTO TSP2 Regional Bridge Preservation Partnerships; chairs of three TRB Standing Committees on Bridge Preservation (AHD-37), Bridge Management (AHD-35), and Structure Maintenance (AHD-30); and representatives from the AASHTO Committee on Bridges and Structures (COBS) technical committees on Bridge Preservation (T-9) and Bridge Management, Evaluation, and Rehabilitation (T-18) and Bridge Technical Working Group, Committee on Maintenance (COM). In addition, we have members from academia and industry to get a full breadth of the preservation expertise. Leadership of the BPETG is provided by FHWA with a co-chair position filled by a state DOT member either from AASHTO COBS or COM on a rotating two-year term basis. Members from academia and industry are appointed for three-year terms by the chair, with a possible reappointment. Through this forum, FHWA solicits input from individual participants but does not intend to establish or utilize the BPETG as an advisory group in the interest of obtaining advice and recommendations under the Federal Advisory Committee Act (FACA). Decisions by the BPETG are not binding on the FHWA. BPETG holds monthly virtual meetings via web and one face-to-face meeting per year. What are BPETG goals and Strategic Objectives? Under each Strategic Objective, we have several actions that we are trying to accomplish. Preventive maintenance (PM) activities are essential for bridge preservation. How has the use of federal funds for PM evolved over years? Use of Federal funds for preventive maintenance (PM) activities on Interstate highways was initially authorized in the Intermodal Surface Transportation Efficiency Act of 1991. Subsequently, the National Highway System Designation Act of 1995 amended Section 116 of Title 23 U.S.C by extending PM activities eligible for Federal-aid highway. After each act, FHWA issued appropriate guidance to the states advising them of this eligibility. Specifically, in 2002, FHWA advised the use of Highway Bridge Replacement and Rehabilitation Program (HBRRP) funds on PM activities for Federal-aid highway using systematic process. In 2008, the Safe Accountable Flexible Efficient Transportation Equity Act – A legacy for Users (SAFETEA-LU) Technical Correction Bill changed HBRRP to the Highway Bridge Program (HBP) and added systematic PM as an eligible activity. Bridge owners have taken advantage of the flexibilities in the HBP and have maintained their inventory in good to fair condition under constrained resources. I understand that the new Bridge Preservation Guide is part of the Strategic Objectives. Could you comment about it? The original Bridge Preservation Guide was published by FHWA in August 2011, when SAFETEA-LU was in effect and bridge repair and rehabilitation activities were funded by the Highway Bridge Program. This guide identified a “systematic process” as an eligibility of preventative maintenance (PM) actions for Federal aid funds. As a result, several Divisions signed agreements with their states as part of the stewardship and oversight agreements. These activities were not consistent among the Divisions. The Moving Ahead for Progress in the 21st Century Act (MAP-21) and the Fixing America’s Surface Transportation (FAST) Act allowed preservation activities to be eligible and there was a need to update the guidance and come up with a comprehensive list of PM activities for consistency throughout the country. Also, routine maintenance was never defined for bridges and what activities qualify as routine that are not eligible for Federal funds. The new guide that we released earlier this year (Ed Note:see linkage) provides those example activities as well. In addition, it provides guidance on how to establish a bridge preservation program if an agency desires to build one. What are the other actions/programs that are being developed? We are developing a series of pocket guides that will provide a focus on construction quality. Some of the topics that are currently being developed are: Thin Polymer Overlay Systems; Small Movement Bridge Expansion Joints; Bridge Cleaning; and Removal and Replacement of Bridge Coatings. identify potential failure mechanisms and how to avoid them. The pocket guides will be electronic, posted on the TSP2 website, and will also be accessible via iOS and Android App. We hope to post the Thin Polymer Overlay Guide by November, and others are being reviewed by the group. Another action item that we are currently working on is the “Deck Preservation Portal.” This project initiated from an original idea of developing a Transportation Asset Preservation Portal. The goal is to establish a web portal for repository of proven preservation actions to maintain bridges in good and fair condition. After discussions with BPETG members, it was decided to first develop a proof of concept focusing just on concrete bridge decks. The Deck Preservation Portal will be organized by component defect, cause, feasible actions, and cost information. FHWA is supporting the development and Iowa DOT is leading the project. We have formed a Technical Advisory Committee to lead this effort and plan to complete the project by fall 2020. The outcome of this project will be rolled into a pooled-fund project to develop the Transportation Asset Preservation Portal. We are also working on providing guidance to bridge owners in the formation, execution, and evaluation of bridge preservation programs so as to meet their unique needs. FHWA has contracted with the University of Colorado to “Determine Agency Rules for Bridge Preservation: Developing a Decision Methodology.” The objectives of this project are to: 1) Compile the existing rules used by state DOTs, and 2) Develop a method for formation of decision rules for bridge preservation. This guidance appears to be essential for owners to reach MAP-21 and FAST Act requirements for maintaining infrastructures in a state of good repair at minimum cost. Bridges are complex structures with interdependent components for which a strategic use of bridge preservation actions is required. The BPETG strategic plan that we developed in 2016 is almost three years old. As we continue to complete action items that we initially identified, we are also in discussions to update this plan to meet the current needs. 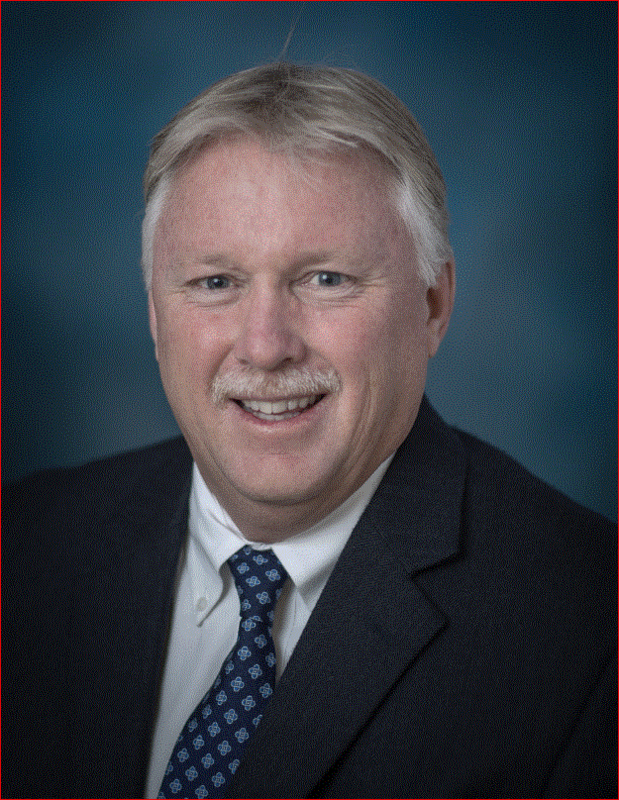 Rod Thornton is the Maryland Department of Transportation – State Highway Administration’s (MDOT-SHA) Deputy Director of Structure Inspection and Remedial Engineering Division. 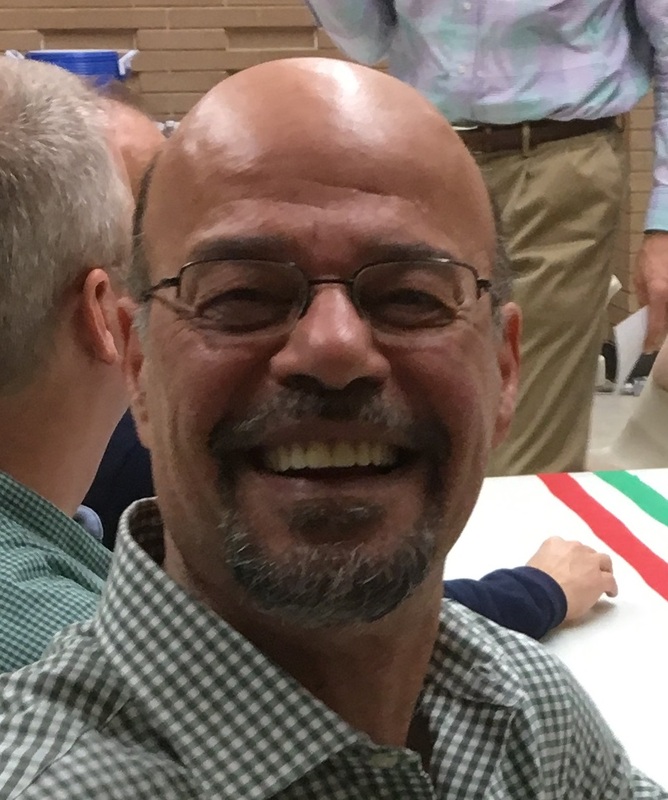 In addition to his responsibilities with MDOT-SHA, he is active with TSP2 being the Vice-Chair of the Northeast Bridge Preservation Partnership Committee. I had the opportunity to ask Rod a few questions about bridge preservation strategies at Maryland DOT. What does bridge preservation entail at MDOT-SHA? It is comprised of a number of programs that are all directed to preserving the integrity of the original bridges and eliminating emergency repairs. A key program concerns bridge painting. The program, which advertises $12 million worth of painting projects every year, does not simply entail painting steel structural elements, but it also includes repairing deteriorated critical areas of the girders by plating, replacing leaking joint seals, and installing troughs under roadway joints. This type of preservation work is included into the paint contract since paint scaffolding provides easy access to the areas to be repaired. By performing preservation work in parallel with painting, we eliminate the need to return to do these repairs in a following stage, which results in less of an impact to traffic and cost savings. Funds above $12 million are added to the paint program in order to perform preservation activities. Plating over severely deteriorated areas of a structural element, such as a beam, preserves the structural integrity of the element but also improves how long the paint system will last. The new “retrofit” plate provides a smooth surface that can be prepped to have the correct profile for proper paint adhesion. It is well-known that the long-term adhesion of a paint primer may be prevented if rust and other imperfections are not completely removed during the blast cleaning process and a proper profile of the blasted steel is not achieved. A good adhesion of the primer is essential for the intermediate coat and final coat to work. Plating over the pitted areas of a beam with new steel allows for the creation of a good paintable surface profile, which in turn increases the longevity of the paint system. In areas that are subjected to a lot of moisture, like finger joints, the non-structural “retrofit” plates provide a layer of sacrificial steel while improving the adhesion of the paint. Our paint program performs well, beyond the expected 20 years of steel protection. We are getting anywhere from 25 to 30 years out of the program. The color of the top coat may fade, but the paint system still provides the steel protection that is needed to prevent corrosion. Another important bridge preservation program at MD-SHA entails the use of latex-modified concrete overlays in order to preserve the deck thus avoiding or delaying its replacement. The process starts with an evaluation of the chloride levels at the various depths of the deck. If a deck is in fair condition with concentration of chlorides near or just beneath the top mat of the deck reinforcement, we remove chloride-contaminated areas through hydrodemolition and we then cast a new latex-modified concrete overlay. Since the early ‘70s, MDOT-SHA has required both the bottom and top rebar mats to be epoxy coated. Epoxy protects bars from corrosion induced by chlorides thus making it possible to reconstruct parts of the deck rather than replacing it. MDOT-SHA is currently working to determine the best preservation actions for the old deck parapets that have high chloride concentration. We are looking into new types of sealers that contain chloride inhibitors to treat these parapets when the deck is partially reconstructed using latex-modified concrete thus preventing their replacement. Another top preservation program at MD-SHA entails the installation of troughs under roadway joints where the seal is in NBI condition state 4 and 3. We have set up a dedicated “open-ended” contract that allows us to assign a number of bridges to a contractor and get the trough installed once a bridge is identified. We also have a dedicated “open-ended” contract that allows us to wrap and strengthen the concrete structural elements of the substructure, such as caps and columns, with E-glass fiber reinforcement and coat these surfaces with an aliphatic polyurethane coating. Typically, we only wrap columns that are close, or adjacent, to roadways, thus creating a permanent water barrier from the salt spray generated by vehicles traveling past. Since roadway joints are a source of deterioration for many elements of the substructure, such as bearings and beam ends, our newly designed bridges are built with no roadway joints or in a very limited number. The last preservation program I would like to mention entails improving the protection of the steel tendons placed at the bottom of pre-stressed girders. We require a 4” clearance from the outside face of the girder instead of just meeting the 3” concrete cover required by AASHTO. The additional clearance ensures that the tendons get adequately covered with concrete. There are known tolerances in casting of pre-stressed members that could end up reducing the cover of steel tendons that are close to the exterior surface. We also include a design modification that increases the slope of the bottom flanges of AASHTO concrete girders so as to prevent accumulation of debris, bird droppings or bird nests. Could you outline the key points of the bridge preservation strategy at Maryland SHA? I would summarize the strategy in three points. The first one involves the evaluation of Structurally Deficient (SD) and Fair rated bridges on the entire highway system with the goal to properly intervene on SD bridges and to prevent Fair rated bridges from becoming SD. Every year two managers, one from the design and the other from the maintenance side of the bridge office, visit all bridges that are rated SD and also those bridges that had been rated 5 for one or more items (deck, superstructure, or the substructure) for more than 10 years. Once all these bridges have been looked at, we determine whether they are candidates for maintenance actions, preservation activities, major rehabilitation, or replacement. In doing so, we monitor all bridges that are in bad condition and determine actions to be implemented and scheduled. A second element of the strategy entails examining common design or construction details that cause maintenance issues or are linked to potential deterioration problems. If in the inspection reports there are details that show the presence of a recurring bridge defect, then proper recommendations are made to the designers so as to eliminate it. As an example, in the 1960s they used to weld stiffeners halfway from the top to the bottom of steel girders’ diaphragms. Once we recognized that these stiffeners induced fatigue cracking over 10 – 15 years, we informed the design team so as to find a more effective solution. A recurrent issue entails the accelerated deterioration that we experience with galvanized corrugated metal pipes used to carry water runoff with high concentrations of chlorides. There are many more examples of issues found in the field resulting in design changes, such as poorly performing roadway joint systems, multi plank bridge deck details, and parapet details. Through the constant communication with the design office we were able to improve what is being designed for our new bridges. The third element of our strategy calls for an actual and effective communication between the bridge design team and the office I am in charge of, which entails inspection, construction, and engineering design for maintenance. We are in constant communication and we work together to decide whether bridges should be preserved thorough minor rehabilitation, major rehabilitation or replacement. In principle, we can save and keep any bridge if enough money is available, but there are cases where it is not economical to rehabilitate a bridge. When we decide to make a major investment to rehabilitate a bridge, the design team should agree that no future plans are going to be made to replace or enhance that bridge. On the opposite, if the design team programs a bridge for replacement, then the maintenance team will focus on safety repairs only, since there is no reason to spend money on a bridge that will not be around for much longer. Maintenance preservation actions are a priority for those bridges that are intended to be kept in service for a long time. A lot of engineering judgement and experience is requested to know when to intervene and perform repairs and where we may have capacity and safety issues, such as beams not capable to carry the load or pieces of concrete falling on vehicles, if we do not intervene. This mix of engineering knowledge and experience is an essential component to ensure public safety, which is our most important goal. What are your bridge preservation goals, both short and long term? Our short term bridge preservation goal is to comply with the Governor’s mandate to reduce the number of Structurally Deficient bridges to zero. We are going to achieve this goal by combining repair, rehabilitation, and design actions. (Ed. Note: Out of the 2567 bridges managed by Maryland SHA, 67 are classified as Structurally Deficient, corresponding to 3% of the total). Extending the service life of bridges is our long-term goal. If we can get 20 more years from a bridge by doing preservation actions, it makes sense to perform them. Preservation actions can vary. If a bridge has a deck that is in fair condition with 20 more years of life in it, we focus on the key bridge elements that may need preservation, such as beams and substructure. If we prolong the service life of these elements, we eliminate the need to replace the bridge in the short term and can wait until the deck needs to be replaced. By bringing bridges to Fair or better condition, we extend their service life and have time to focus on those bridges that are in critical conditions and cannot be expected to last long without a large capital investments. We perform holding actions to ensure the safety of the traveling public. Which challenges have Maryland SHA encountered in the implementation of the bridge preservation strategy? We have an issue with environmental permitting, which is an impediment for pressure washing. Other States have been able to get an agreement with their environmental people, for example scheduling power washing during heavy rain. In Maryland we can power wash only a limited number of bridges provided that we collect water. Grime, grit, debris, and oils pollute water during power washing thus making water a hazardous material that is cost-prohibited to collect. As a consequence, it is difficult for us to maintain clean critical structural elements, such as trusses, that collect a lot of debris. Do you have a success story that you would like to highlight? In addition to the paint program, of which I have already spoken, I would like to mention the paved pipe invert contract. We have restored over 300 galvanized corrugated metal pipes by installing a new reinforced grout invert. The hoop design of the pipe is re-established by this structural design methodology which essentially consists of welding steel reinforcing bars in a pattern longitudinally and transversely along the inside length of the pipe and then pouring a 4” thick concrete grout invert over top. By adopting this methodology, we have repaired pipes anywhere from 3 ft to 20 ft in diameter located under major Interstates or throughout our highway system. By not having to replace these pipes, we have saved a lot of money. The typical cost of the grout repair method is $40/SF, which is typically 20+ times less costly than replacement. We started by paving the worst pipes and we will continue until we have paved 1300 + pipes. In my opinion a big bridge preservation success story in Maryland is arriving to the point of having sustained funding. We have always had funding for maintenance and repair, but it was a one-shot approach. We now have funding that allows for broadening the use of preservation actions and setting up systematic programs. The recent gas tax imposed by the State has been a tremendous windfall for the highway program in Maryland. It has allowed us to focus on the Governor’s goals to achieve zero SD bridges and to perform all improvements that are going on in the entire highway system here in Maryland. How can TSP2 assist you with reaching your bridge preservation goals? TSP2 is giving me a unique opportunity to develop personal relationships in the bridge preservation community. I can connect with representatives from other States to find out what their programs are like, what processes they follow, and what products they use. All States are trying to achieve common bridge preservation goals as cost effectively as possible and with the least impact to the travelling public. TSP2 provides the means to achieve these goals by learning and replicating what the different States have done successfully. 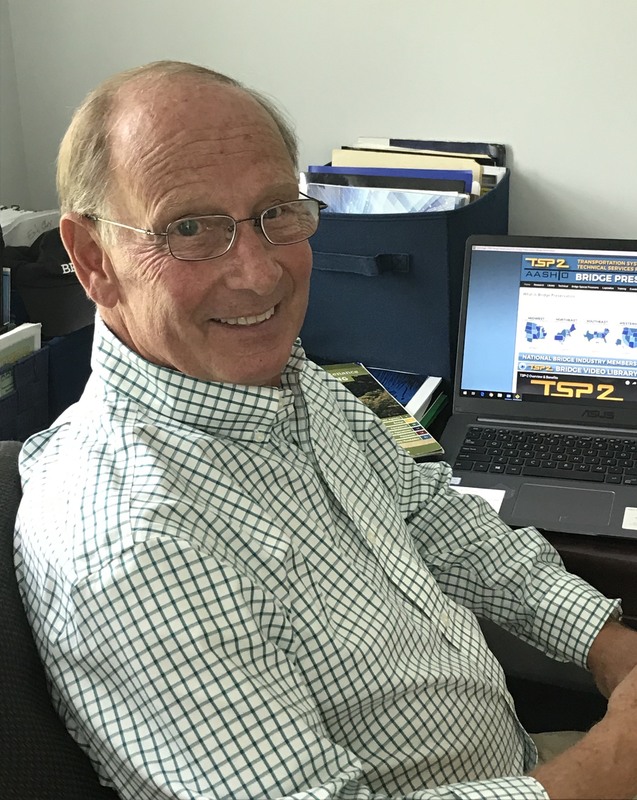 Ed Welch is the leading preservation engineer supporting the TSP2 bridge program at the National Center for Pavement Preservation (NCPP). It is safe to say that his level of competence and the passion he has for his job are unmatchable. Ed is active with the four Regional Bridge Preservation Partnerships, a task that also includes organizing and implementing the yearly TSP2 Regional Bridge Preservation Partnership Meetings as well as the National Conference that takes place every four years. He participates in many National and Regional TSP2 Working Groups, and the monthly regional teleconferences. 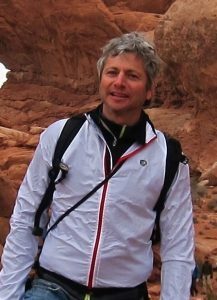 Ed Welch evaluates and supports new initiatives and programs, always making available his knowledge and experience. Even more important, Ed facilitates communication, thus making it possible to create a multi-faceted dialogue between States, Agencies, Industry and Consultants. This dialogue is at the core of the TSP2 Bridge Preservation success story. I spoke with Ed after the TSP2 National Conference in Orlando, Florida. Could you introduce yourself? What is your background? Why did you decide to join TSP2? How did it happen? I am a bridge preservation engineer at NCPP, the National Center for Pavement Preservation at Michigan State University that has a contract with AASHTO for managing TSP2 for both bridges and pavements. After getting a Bachelor of Science in Civil Engineering from the New England College, I spent four years with HNT&B and then thirty-four years with the New Hampshire DOT. Nine of those years were with bridge construction and twenty-five with bridge maintenance. Back then I attended the Sub-Committee of Maintenance (SCOM). As the Bridge Maintenance Engineer for New Hampshire I was able to attend meetings in Alaska, Alabama, Pennsylvania, Minnesota, North, Dakota, Washington State, and New Hampshire, where we all learned about the value of networking and developing relationships from around the country. Wade Casey with FHWA, one of the relationships that I developed at the SCOM Meetings, recommended me to Larry Galehouse, NCPP Director, as a potential candidate for the new TSP2 bridge preservation position. The rest is basically history. I have been supporting the TSP2 bridge preservation program for about eight years. It is a great experience. I have learned a lot from the continuous exchange of knowledge and bridge preservation experience between the States, and how eager all members of the Partnerships are to share and to learn. I am getting to know bridge preservation and asset management practitioners from States, Industry, and Academia from the entire country. It is very rewarding for me to get them together on the phone, on the computer, or face to face. The National TSP2 Bridge Preservation Conference took place recently in Orlando. This is a pivotal meeting that occurs every four years. Was the Conference successful? Did TSP2 reach its goals? Is there anything that fell below expectations? The 2018 National Conference was a very successful meeting. We had over six hundred attendees, more than sixty exhibiting companies, of which thirty-one took part in the outdoor demonstration. Florida DOT was an exceptional hosting partner who truly supported the Conference. They sent forty-one attendees who did a lot of work behind the scenes focusing on IT and the outdoor demonstrations. Eighty different presentations were made in three separate sessions. (Note: See Related Links for the presentations’ videos at the bottom of the post). All the independent Committees reached the common goal of making the 2018 Conference a great meeting. They should be praised for the excellent job they did. What could we have done differently? For the first time we had an App for getting information about the Conference and facilitating networking. It made it easy to anticipate the Agenda and take early decisions about which of the three concurrently running sessions to attend. The App was received very well to the point that I think we should have promoted it sooner. How was the 2018 TSP2 National Bridge Preservation Conference different from the 2014 Conference that also took place in Orlando? What changed in these four years? Compared to 2014, in 2018 we had much more interaction between the four Partnerships as well as between the States and Industry. During the Working Group sessions, representatives from each Partnership were able to discuss what is being done, and also to open these discussions with other Partnerships and Industry representatives. Key accomplishments reached by both the Regional and National Working Groups were shared among all participants. “A Preservation Contractor’s Perspective: The Good and the Bad” by Kurt Clink with Truesdell Corporation (WBPP). Is TSP2 planning to organize a third National Bridge Preservation Conference in 2022? Is TSP2 considering shortening the time between the National Conference meetings from four to two? Will the four Regional TSP2 Bridge Preservation Meetings remain in place in 2019, 2020 and 2021? The next National Bridge Preservation Conference will take place in 2022. We are looking for a host State, who can perform as well as Florida did for the two Conferences in 2014 and 2018. We are not going to shorten the time between the National Conferences from four to two years because we want to have continuity at a regional level and make sure that the Regional Partnerships maintain a bridge preservation perspective. As an example, representatives from the Midwest Bridge Preservation Partnership who participated in the National Conference in Orlando in April 2018, will not meet again until October 2019, when the Regional Partnership Meeting is scheduled to take place in Bismarck, North Dakota. A year and a half between the two gatherings is quite a long time for the Midwestern bridge preservation representatives. We want to have the Regional Partnership meetings on a regular basis since they are so valuable and popular. We will therefore continue to have a Regional Meeting for each Partnership every year for three years in a row before organizing the National Conference. This scheme has worked well so far for both the pavement and the bridge side. Could you outline key programs for TSP2 Bridge Preservation, beyond organizing the Regional Partnership Meetings and the National Conferences? The ongoing work of the Regional and National Working Groups is a crucial element of the TSP2 Bridge Preservation program. National Working Groups address issues that are important to the four Regional Partnerships, who should always have a representative participating in the Groups. In most cases the National Working Groups have been created because a particular topic was already discussed at several of the Regional Working Groups. This happened, as an example, with the National Coating Working Group. There were already Working Groups focusing on coatings in the Regions, so it made sense to combine these Working Groups and generate a national effort. We currently have five National Working Groups. These are the “Bridge Management System (BMS)”, the “Industry Technology Demonstration (ITD) Program”, the “Social Media Program”, the “Bridge Deck Preservation” and the “Bridge Preservation Coatings” that I have just mentioned. Additional National Working Groups have been proposed and are being considered. As far as Regional Working Groups, the Midwest Partnership has four groups: “Outreach to Local Agencies”; “Systematic Preventive Maintenance (SPM)”; “Preservation Matrix” and “Deterioration Modeling”. There are four Regional Working Groups in the Northeast Partnership: “Scour Working Group”; “Beam End Treatments”; “Bridge Washing” and “Research”. There are four Working Groups in the Western Partnership: “Bridge Preservation Activities Matrix”, the “Quantifying a Systematic Preventive Maintenance Program”; “Research” and “Asset Management”. As I said before, when the Regional Working Groups develop and find commonalities, they can evolve into National Working Groups. A crucial part of the TSP2 Bridge Preservation program also entails promoting bridge preservation awareness to Local Agencies across the nation, such as Cities, Towns, and Counties. There is a lot going on as far as Local Agencies getting involved in bridge preservation. This should be of no surprise since Local Agencies own more than 50% of the bridges in the nation. It is therefore essential that Local Agencies be trained to properly maintain and preserve their bridges. Three different initiatives have currently been put in place in order to improve Local Agencies’ involvement with bridge preservation policies and practices. The first entails the creation of a discussion group that focuses on networking with the objective to promote calls and meetings between States and Local Agencies. The second initiative involves the Western Regional Partnership that has established a Working Group about communicating the value of bridge preservation (Note: See Related Links about this Working Group at the bottom of the post). The Working Group is putting together modules for short presentations at Local Agencies and is looking for volunteers. The third initiative consists in the TSP2 Bridge Preservation training for Local Agencies that has been developed at NCPP. If a State is interested in gathering Local Agencies, NCPP@MSU can do half or full day bridge preservation training for them. We have an “a la carte” agenda where States and Local Agencies can pick and choose what they want to hear depending on their needs and capabilities. It is likely that a National Working Group will be soon established about promoting bridge preservation to Local Agencies. FHWA has also an initiative in place focusing on Local Agencies to promote the value of bridge preservation. All initiatives related to Local Agencies cannot use State’s funds contributed to the AASHTO TSP2 Program. While we must be careful regarding the extent of funding for these initiatives, there are remedial needs that the Partnerships can assist Local Agencies with. Seasoned bridge preservation engineers, Pete Weykamp, retired from NYSDOT and John Buxton, retired from Maine DOT, are NCPP trainers. Since I have done some training myself, we currently have three bridge preservation engineers who can do the training for Local Agencies. We have already carried out training in several States and we are seeing more and more interest toward such training. What is your vision for TSP2 Bridge Preservation? I envision that the concept of bridge preservation will be fully understood and embraced by our bridge preservation community, and, at a different level, by the public. For this reason, the social media program is very important for TSP2. We certainly have a lot of room for bridge preservation to expand and social media is an excellent avenue to follow. A correctly implemented bridge preservation policy can have a significant financial impact on our nation. This is the core message promoted by TSP2. Bridge preservation frees financial resources since it is certainly more economical to work on bridges in good or fair condition rather than on deteriorated bridges. In other words, Bridge Preservation is good for the economy. The life of a bridge can be extended with a minimum cost if the right preservation action is taken at the right time. By doing so, States can focus more funds and resources on those bridges that are beyond restoration and need to have major rehabs or to be replaced. Keeping most of bridges in “fair” condition appears to be a good means of managing our bridge assets. It is evident that we cannot keep all the bridges in “good” condition. This is sometimes a tough concept to accept. However, it is the reality. To have all bridges in good condition and to get there by only replacing the worst bridges cannot be regarded as a sustainable goal. As I explained before, I envision a constant, gradual growth in the adoption of bridge preservations policies by the Local Agencies. I would also envision our TSP2 Bridge Preservation representatives reaching out to representatives from other countries, especially Canada. 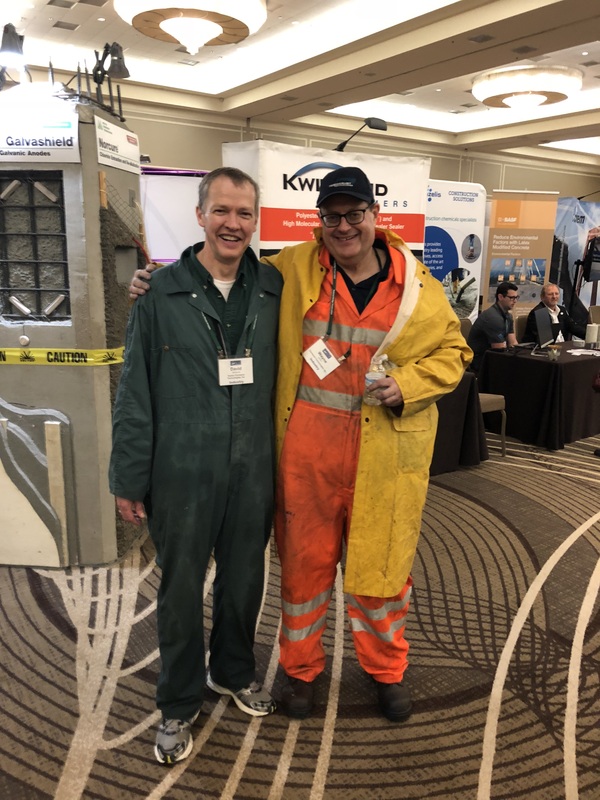 Kwik Bond Polymers based in Benicia, California, is regarded as the largest supplier of polyester polymer concrete in the USA specializing in bridge overlays and concrete repairs. The company also offers thin epoxy overlays, High Molecular Weight Methacrylate (HMWM) concrete healer-sealers and High-Friction Surface Treatments (HFST), an innovative road safety countermeasure system. To learn about Kwik Bond Polymers and its go-to-market strategy for bridge preservation, I spoke with Kwik Bond’s Gregg Freeman, Business Development Manager, and Merritt Hanson, VP of Sales. What is your responsibility with Kwik Bond? When did you join the company? Gregg: I joined Kwik Bond 6 years ago when I was approached by one of the founders of Kwik Bond after a presentation at a TSP2 Bridge Preservation Partnership meeting. I work with the R&D Department for the development of new products, taking advantage of my 27 years of experience in the industry. I also work with DOTs in order to create specifications so as to be certain that contractors have proper information for installing our products correctly. Merritt: I have been with the company for 12 years. My first experience with the polyester concrete technology took place in 2002 when I was with an overlay contractor. I met Kwik Bond founders at that time. In 2006 they offered me a position as sales person in NY. I am now the VP for Sales focusing on the entire US market. Can you speak of the evolution of Kwik Bond from a local company based in California to a national competitor? Gregg: The two founders of the company started working with Caltrans in the early 1980s. At that time Caltrans was after “a more permanent solution” for concrete repair. As they decided to develop a new technology in partnership with the industry, they brought in industry experts who knew about polyester resins, methacrylates, and concrete construction. These experts became the founders of Kwik Bond Polymers. Once Caltrans started advertising the new technology for bid, they established Kwik Bond Polymers. For a number of years Kwik Bond was both manufacturing polyester concrete and installing it. (Ed. Note: Nowadays Kwik Bond is exclusively a manufacturer. Kwik Bond works with local contractors for installations.) The new polyester concrete technology has been managed well for many years in the State of California and it was well understood by Kwik Bond when the company decided to launch it nationally. Merritt: Essential to the success of Kwik Bond Polymers is the fact that the polyester technology has proven that it works. The material bonds to the substrate, protects it over time and does not wear. Polyester technology simply does what it is supposed to do. Kwik Bond has always taken care to verify that their materials are used in the proper manner to insure a correct application. This is also an important element of the success of Kwik Bond Polymers. Can Kwik Bond be regarded as a successful example of collaboration between Agencies and industry? Gregg: Yes, it has been a unique example of collaboration between an Agency and industry. Caltrans did extensive research in the Lab and in the field by testing many different systems in search of technologies that could provide a solution to unique challenges. At that time Caltrans had a large budget and highly skilled experts with a lot of freedom to push innovation to the limits, which also allowed them to bring in experts from industry. Merritt: Once the polyester concrete technology was fully developed, Caltrans wrote specifications that were prescriptive and not so much performance-based. Even though these specifications were functional to Caltrans’ needs, they could not tell everything about the material. They informed about the individual components but the specifications did not underscore the interaction between these components, which is equally important. We were able to make the best use of Caltrans specifications because of our unique expertise with this technology. Can you speak of polyester concrete? What are its primary applications and key properties? Merritt: Polyester concrete can be used for a range of applications for bridge construction and preservation, first and foremost deck overlays, joint headers, concrete repair and regrading, such as building a wedge in approach slabs or overcoming extreme wheel path wear. For concrete repair applications you can pour up to 12 in. of polyester concrete in a single installation. I have actually poured up to 18 in. Gregg: Polyester concrete has an exceptional resistance to wear. It is also completely impermeable thus preventing chlorides and contaminants from reaching the substrate. In comparison, high strength concrete has very low permeability but it is subject to cracking. It is well known that chlorides can enter even into very small cracks. This does not happen with polyester concrete. In the rare event a crack forms during a polyester concrete application, the crack does not grow. Then it can be easily and permanently sealed with a (HMWM) resin. Merritt: I would say that the magic of Kwik Bond polyester concrete consists in the balance between its key properties, such as compressive strength, tensile strength and tensile elongation. You can actually boil it down to the balance between tensile strength and modulus of elasticity. At Kwik Bond we do not brag about exceptional properties of polyester concrete. Some competitors promote 20,000 psi compressive strength of their technology, but you actually do not want it. You want a balancing act: enough strength to keep the material from wearing and enough flexibility to handle the normal motions of a bridge deck. Kwik Bond polyester concrete provides this kind of balance. We therefore like to underline the correct balance of properties of polyester concrete, not its “high” something. Let me underscore one more time that a carefully designed balance between key properties is at the core of the successful installations of Kwik Bond polyester concrete. What about fast setting that allows quick traffic reopening? Gregg: Fast setting is a very important Kwik Bond products’ feature, especially for polyester-based HFST applications. This technology allows return to traffic in 2 hours even in cooling conditions. A key element for understanding why Polyester Polymer Concrete (PPC) provides such long-lasting installations is its thermal compatibility with the concrete substrate. Because Kwik Bond polyester concrete has such a large volume of aggregate relative to its resin, it has a good thermal compatibility compared, for example, to thin overlays, which expand and contract at a high rate. Our system is much closer to concrete than alternative solutions. It therefore reduces, or eliminates, thermal stress at the bond line. Merritt: Certainly fast setting gets the attention, but the reason people continue to use our polyester-based concrete is because it works. It is a robust, forgiving material that works in a wide variety of cases, not just in niche conditions. What are the challenges that you are facing in promoting this technology? Gregg: People who are new to the technology tend to oversimplify it. Based on our success, they think that it is easier than it actually is. They make mistakes that are detrimental to the good name of the polyester-based concrete technology. Merritt: To me the biggest challenge is information. Despite the fact that polyester concrete technology has been used consistently since 1983, it is still new to a lot of people, who do not know what it can do for them and what it has done elsewhere successfully. Materials that use resin as a binder are widely accepted nowadays, yet they are not gray or black, I mean they are not Portland cement-based or asphalt. These materials belong in a category of their own that it is still looked with diffidence by some people. So for us the first challenge is to get the message across that our polyester-based technology does work. And even though there is no water/cement ratio to specify, the material can still provide successful installations. What about the challenge of promoting this new technology to DOT Agencies? Merritt: When I joined the company, Kwik Bond was working in just a few States in the West. Since I live in New York, I concentrated my efforts in the North East. I cannot tell you how unimpressed people were of the company’s success in California. The fact that the polyester technology had been used to overlay some of the biggest bridges in California was not really a factor. Breaking the barrier was very difficult. How did I go through it? I contacted DOT maintenance teams and did a lot of repair patches for free to show how the product works in the field. I also met designers who trusted the technology and agreed to specify jobs. Engineers almost universally want to “kick the tires”. They want to see that the product works, even if it is on a small scale application. And I realized it early on. Gregg: We took a small step approach. We found champions who were interested in bringing the technology forward. With their help we put the product down and we started building a success story in almost each State. This strategy really works unless you find a State where a similar technology had failed in the past, or, even worse, had caused a safety hazard. It is almost impossible to enter such a State. Nobody wants to take the risk of adopting a technology that has a bad reputation, no matter how much the new technology is different from the one that had caused problems in the past and proved to be successful. It seems that overcoming bad reputation is an important issue in dealing with DOTs. Is this a challenge for Kwik Bond? Merritt: This is really a big challenge for Kwik Bond. Since people think that polyester concrete technology is easy, there are occasionally contractors or suppliers that try to piece the system together. Unfortunately, there is more to it than what they see initially. It is not so easy to provide long-term preservation and an outcome that has been proven over time. Just because someone claims to meet the specs, it does not mean that the material will be able to perform over time. Symbolic goods are not equivalent to the real thing. Polyester concrete is an engineered composite system where the single components need to be compatible in order to work together properly. The system is certainly more than purchasing a series of ingredients and mixing them in the job site. It does not work in that way. When a polyester concrete mix is put together by people who do not have adequate expertise and knowledge, applications can go poorly. This can give a bad name to the technology thus disrupting what we have built. For this reason, we have had to overcome reputation problems in a number of States. Typically somebody else comes in, tries to do what we do, and does it so poorly that all brands of polyester concrete, Kwik Bond included, can be banned for years. Gregg: Polyester concrete is essentially a mix of two blends of aggregate and the resin. Kwik Bond Polymers specifications say that there should be a preliminary research showing that the components are compatible when mixed together. Very few people understand the meaning of this requirement. Formulations are thrown on the market without properly testing the compatibility of the ingredients. This does not happen with Kwik Bond Polymers since we have an unmatched level of knowledge and experience with polyester concrete technology. 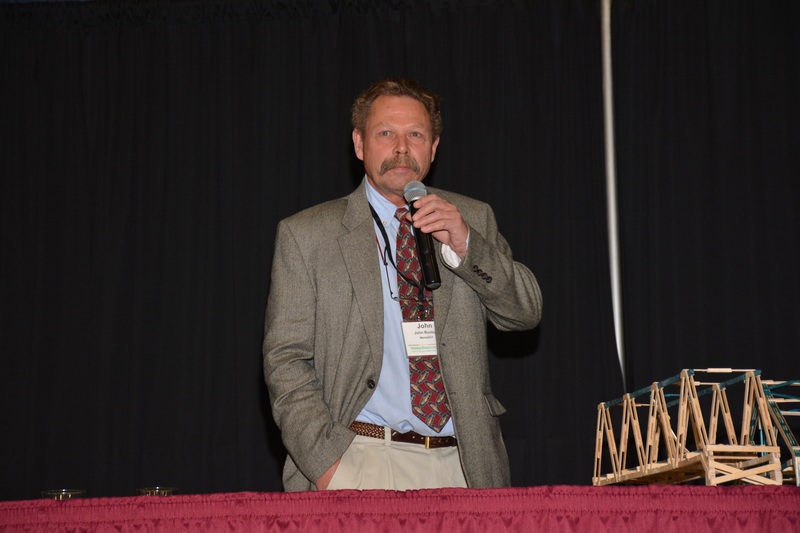 I recently spoke with John Buxton, Bridge Maintenance Engineer / Deputy Chief Engineer at Maine DOT. He is in charge of the Bridge and Structures Maintenance Division at the Bureau of Maintenance and Operations. In addition, he is connected to the executive office as the Deputy Chief Engineer. John is fully committed to bridge preservation. His many years of experience in this field make him a go-to person with TSP2. What does bridge preservation entail at Maine DOT? Bridge preservation currently represents 70% of Maine DOT’s maintenance budget. While in the past we used to do a lot of rehabilitation and restoration type of work, currently preservation is the primary focus for the maintenance department. Preservation entails activities such as replacing and repairing joints, making sure that all joints are sealed, sealing concrete with water repellents, painting bearings and beam ends, and keeping concrete wearing surfaces in good condition. We are trying to address the deterioration of bridge elements before it becomes a problem. It is evident that it is better to spend a few dollars in preservation than thousands of dollars in restoration. Does your 70% of maintenance budget include all preservation expenditures at Maine DOT? In addition to maintenance, also the capital side has a budget for preservation activities, which mainly entail full painting projects. We are treating concrete with silanes, not only the deck but also vertical surfaces, such as piers adjacent to travel ways, back walls, and all exposed concrete. The capital money is obviously not as aggressive in preservation as maintenance money. The capital side probably spends 25 – 30 % of their funds in preservation while the rest is reconstruction and bridge replacement. Getting the capital people, who focus on new bridge construction, to invest funds on preservation activities has been a major shift in the way Maine DOT operates. It is a combination of preservation, construction and reconstruction that allows maximizing investments for the bridge infrastructure. What are the key points of the bridge preservation strategy at Maine DOT? Our main strategy is to keep bridges in good condition by doing preservation activities. We are getting out of the “worst first” type of mentality, even though we continue to take care of bridges that are deteriorated beyond the practical maintenance point. If you talk with other representatives from the TSP2 Bridge Preservation Partnership, you will find that they are using the same approach. Do you have any statistics that show the benefits of a bridge preservation strategy? The benefit of preservation is probably one of the hardest things to capture. For example, when you seal concrete it is hard, almost impossible to predict, whether the concrete is preserved for 20 or 25 years. In terms of NBI Bridge Inspection Ratings, when you seal the concrete of a pier, you do not change the rating of the pier. Let’s say the pier is in a condition state 6. By sealing the concrete you hopefully have kept the pier in that condition state for a longer time, which does not show up in graphs or statistics. It is really difficult to quantify the benefits of preservation actions. Is it challenging to convince people of the benefits of preservations? Yes, building a new bridge always carry the headlines. However, the political flavor has changed in Maine and around the Nation. People understand that it is worth preserving bridges, especially when they see the tremendous cost for a new bridge. Spending a fraction of that cost to do actions that can preserve an older bridge and get 30 – 40 more years of life out of it is evidently the proper way to go in most cases. What are your goals with bridge preservation? In line with the National Highway System guidelines, our primary goal is to eliminate all condition 4 , corresponding to poor condition, for bridge elements. However, our goal is not only based on numbers but also on a case by case evaluation. Let’s say that we have an abutment that is in a condition state 4. It does not mean that the abutment is unsafe. It just means that the abutment is not in a good condition. It may have been in that condition for 20 years and it may be able to provide another 10-15 years of service life in that condition. Sometimes it is necessary to be aggressive on a bridge element, sometimes not. What is important is to evaluate the impact of the element on the functionality and the safety of the bridge. Can I say that that you are in favor of a selective approach? If you just look at numbers, they are pretty sterile; they do not tell you the whole story. It takes skilled, talented, knowledgeable professionals within each State Agency to evaluate risks related to the condition state of bridge elements. To be able to quantify and qualify these risks is a key knowledge that ultimately keeps public safe. You do not want to spend funds just to make the numbers look good. You want to do the right thing for your bridge inventory. If you can postpone expenditure for 15 years without jeopardizing safety and function, then this is the right thing to do in my opinion. Who takes decisions related to bridge elements at Maine DOT? We take decisions in a bridge committee that comprises of three legs: bridge maintenance, bridge design and construction, the so called capital program, and bridge management. It is what we call Maine DOT’s bridge community. We know each other. A lot of us have worked together for as long as 30 years. I am also part of a posting committee at Maine DOT that takes decisions on bridge weight restrictions. If a bridge does not meet a certain level of capacity based on bridge ratings, we evaluate whether we post the bridge or we strengthen it. In some cases, we do research, such as load testing, cutting coupons out of the steel to see if it is still strong, or cutting reinforcement steel in concrete to see strength can be added. Some posting can be restrictive thus impacting community and commerce. Bridges in rural areas usually need fewer restrictions since they just carry fire trucks and light vehicles. Even though many bridges in Maine are in good condition, they were designed 60 years ago for a much lighter type of vehicles. Over 50% of Maine bridge inventory is more than 50 years old. We spoke of the challenge of making people aware of bridge preservation benefits. Are there other major challenges? The availability of experienced, qualified workers is another major challenge for bridge preservation. Craft people are not readily available as they once were. This challenge is not peculiar to Maine but rather a nationwide issue. Do you do in-house maintenance work? Two years ago Maine DOT started contracting maintenance jobs out. We had more money for maintenance than in the past but not enough people to do the job. We therefore decided to contract out using those additional funds. It was a little clunky at first because we had never contracted jobs out before. The capital department had always done all the contracting for bridges at Maine DOT. We had to learn how to put out contracts and they are small contracts, generally under $200,000. With the increased funding, do you have enough money for all preservation work at Maine DOT? In 2007 and 2014 we developed two reports called “Keeping our Bridges Safe” (see Linkage – Ed. Note). Those reports recognize the need of spending $140 M/year for bridge preservation. However we get on average $105 M/year. As a result of being we remain $30 – 40 M/year short of spending requirements, at Maine DOT we are accumulating a spending deficit of $90 – 120 M in the length of time of 3-4 years. Is there any bridge preservation success story you would like to share? I think our biggest success story is that the entire bridge community at Maine DOT is on board with bridge preservation and really sees the value of it. Painting may not improve the NHS condition rating of a superstructure, sealing concrete may not improve the NHS condition rating of a substructure; however these are important actions to keep bridges in a good condition. As an analogy, regularly changing the engine oil does not modify the way one drives a car but it makes a big difference in the longevity of the cars’ engine. Does TSP2 assist you in reaching your bridge preservation goals? I remember when Ed Welch from New Hampshire DOT, Pete Weykamp from New York DOT and Everett Barnard, my predecessor at Maine DOT, used to meet in New Hampshire with maintenance personnel. These three people first recognized the need for bridge preservation to have its own forum. So my hat goes off to them for pushing the preservation idea and setting up the conditions for having the Partnerships. To me every year TSP2 Bridge Preservation meetings are better. Communication between bridge preservation practitioners is improving and we have more proficient people representing manufacturers. I can call up a number of engineers that are part of the Partnership and ask: have you tried this? Have you got this problem? What do you do to solve it? The network is just phenomenal. There is a great value for bridge preservation practitioners to connect with product manufacturers’ people at the TSP2 Bridge Preservation Partnership meetings. Bridge practitioners can speak with different manufacturers and compare their products. There is also an opportunity for competitors to confront their products. Manufactureres also have avenue where they can speak with each other and potentially start collaborations for putting together different products and technologies in order to solve bridge preservation problems. TSP2 sets the stage for creating synergies between product manufacturers. At the recent TSP2 Midwest Bridge Preservation Partnership (MWBPP) meeting that took place in Minneapolis, the Working Groups met to discuss the status of their activity and outline future developments. I asked the leaders of the Working Group meetings in Minneapolis if they could write a summary for the Blog. The working group concurred that the preservation matrix is still desired and the working group should be continued. New members volunteer. The current deliverable of the working group is an Excel spreadsheet showing what preservation activities the partner states do by contract and state maintenance forces. Unfortunately few people ever see the matrix or even know of its existence. The group would like to update the matrix and make it available to the bridge preservation community by placing it on the on the TSP2 MWBPP website. The matrix should be updated to include links to training and state specifications. Analysis of the matrix can be done to show trends in preservation and a blog written to introduce the website and provide outreach to partner states and local agencies. 25 attendees met to discuss the current and future scope and deliverables of the MWBPP’s Systematic Preventive Maintenance (SPM) working group. The working group serves to collect information regarding member states’ status in having an FHWA-approved SPM program. The working group delivers a synthesis of member states’ participation in a program and any SPM-related information (e.g., contacts, agreements, guidelines, etc.) they are willing to provide on a triennial basis. The last of which was released in November 2016 and is available through a link on the “MWBPP Working Group” page of the TSP2 Bridge Preservation website. Those in attendance agreed the working group’s scope and deliverable were still relevant, as some member states were still working on developing or improving their SPM program and the information provided was of benefit to them. In addition, attendees expressed their interest in a list of potentially eligible SPM activities – possibly ones preapproved by FHWA for inclusion in an SPM program. Additional discussion within the group involved guidelines, processes, and equipment used to perform SPM activities with in-house forces and specifications for performing SPM activities through contract under an SPM program. In April 2017 Judith Corley-Lay took the leadership of the National Center for Pavement Preservation team thus succeeding to Larry Galehouse after his retirement. Judith comes to NCPP and TSP2 with an impressive track record. She started her career teaching Civil Engineering at the University of Texas in Arlington focusing on geotechnical engineering, contactor specifications and engineering economics. After several years with the University of Texas, she joined Texas A&M (Agricultural and Military) where she thought for two years and was also appointed to the staff of the A&M Transportation Institute. When her husband took a position at the University of North Carolina, she relocated to North Carolina, where she started working in the pavement management unit at North Carolina DOT (NCDOT). For 26 years, up until her retirement in September 2016, she developed an extensive knowledge of pavements, including design, data analysis, field data collection, and pavement management systems. 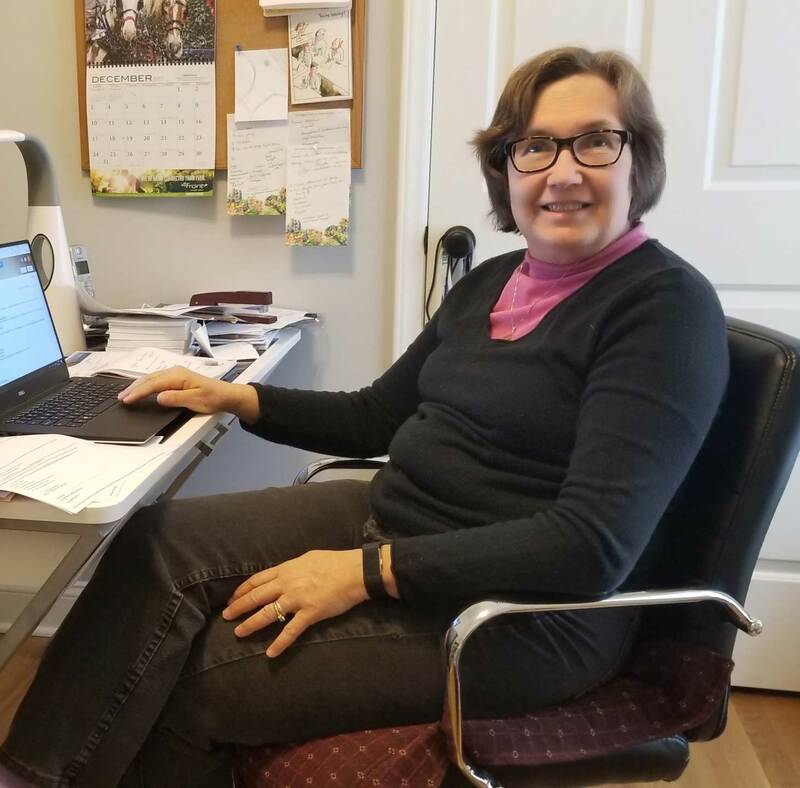 When Larry Galehouse left the National Center for Pavement Preservation (NCPP), she decided to step out of retirement and apply for his position. She is now employed by Michigan State University (MSU), working from North Carolina where her family lives. When I asked her about the decision to apply for the position as Director of NCPP, she told that it came from the realization of the great value of the TSP2 Partnerships, her desire to continue their activity and contribute to their success. In her work at NCDOT she has had first-hand interaction with the South-East Pavement Preservation Partnership (SEPPP) that brought her a huge amount of benefit. Can you speak of the challenges of continuing the job started by Larry Galehouse? When you are taking over from somebody like Larry, who had led an organization from the beginning, it is a daunting task. While I know a lot about pavement preservation, I am putting a lot of emphasis on becoming knowledgeable in the areas of bridge preservation and equipment management. For this reason I made the commitment to attend every Partnership meeting for at least first year. This allows me to learn first-hand about how the different groups work. Michigan State asked me to increase the research activity for bridges, pavements and also equipment. In collaboration with John Hooks, who is an excellent writer and editor, we wrote a proposal for accelerated bridge preservation for Michigan DOT. The proposal was accepted. This, was really good because (NCPP) had not had any research for Michigan DOT in several years. One of the complications of my job is that you really have to balance the activities the Partnership focuses on with the activities from the University and the Oversight Panel. These activities are not always coincident. What can you tell about the activity from the Oversight Panel? The Oversight Panel is chaired by George Conner from Mississippi DOT, who is also the chair of SCOM, Sub-committee on Maintenance. The Oversight Panel represents AASHTO in overseeing the TSP2 program by NCPP. We answer to AASHTO that legitimately wants to know how expenditures into the program are being used. During the last session the TSP2 Committee came up with the idea of funding small research projects with the Partnerships. While half of TSP2 excess balance is used for future operations, TSP2 wants to spend the other half on operations related to activities through the Partnerships. We are going to ask the Partnerships to submit research ideas. Then a few of these ideas will be chosen and funded to the level of contribution already submitted by the States. Excess fund comes from the States’ voluntary contributions to TSP2. These contributions fund two people to come to the regional Partnership meetings for both pavement and bridge preservation. A little carries forward every year thus building up an excess fund that we want to spend down doing research for the Partnerships. NCPP is a Center at MSU. I have an appointment to the faculty of MSU even though I do not teach. NCPP is under contract with AASHTO to manage the TSP2 program, which includes all of the Partnerships for both pavement and bridge preservation. That is how everything is linked. One of the reasons NCPP was chosen by AASHTO is its ability to develop good relationships between the vending community and the Agencies. TSP2 has indeed created a strong dialogue between state DOTs and vendors that was almost unthinkable some time ago. Could you comment about it? TSP2 has been successful and innovative in establishing a relationship between Agencies and vendors, such as manufacturers, contractors and consultants. Partnership meetings are set up with specific guidelines about the conversation cannot be about any project up for bid. This fundamental rule makes it possible for State agencies to talk with the vending community and have a really good conversation. You hear people talking: “What about this type of application?” or “I tried this, I had this problem, what do you suggest?” These conversations could not take place if they were related to contract projects. Going back to your TSP2 appointment, could you provide some details about what your job responsibility entails? I am focusing on three areas. One is overseeing the day by day operations, making sure that routine operations run smoothly. Another area concerns the development research programs, as I explained before. The third focus area, which is very important for me, entails increasing the activity with local Agencies, such as Counties, Municipalities, and Cities. 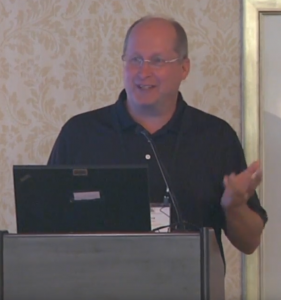 I recently spoke at the American Public Works Association (APWA) for the North Carolina chapter and at the asset management conference through the Michigan Local Technical Association Program (LTAP) in order to promote the concept of preservation and increase contacts between TSP2 and local Agencies. It is important to promote the preservation message. We should underscore the advantages that preservation brings to the community starting from tax dollars savings, especially in the long-term. Spreading the preservation message also keeps the new leadership at state and local Agencies informed and knowledgeable about preservation. Agencies turn over leaderships every 4 years on average, which means that they are always in a training mode at some level. What is your vision for bridge preservation? Agencies must move beyond the Structurally Deficient (SD) bridge concept as they define their plan of action. If Agencies only focus on repairing or replacing SD bridges, there will likely be a huge wave of bridges moving from fair conditions to SD in the near future. Unfortunately, the MAP-21 legislation retained and amplified the focus of DOT Agencies on SD bridges since FHWA took SD as the measure for bridge performance in MAP 21 legislation. Definitively, focusing investments solely on SD bridges is not a sound strategy. I think that focusing on SD bridges also leads the bridge preservation conversation in the wrong direction. We have a great talent pool in the bridge preservation area. Practitioners are knowledgeable and passionate about their work. They know their inventory and they understand what it takes to keep the inventory working but we cannot give them value as long as SD remains the key topic. Could you point out key challenges for bridge preservation? As I said before, MAP 21 and its focus on SD bridges is a challenge. Another significant challenge entails the very large number of retirements that are happening at the state Agencies. Gap in experience is developing not just in the Agencies but also in the contractor community. After the completion of the Interstate highway expansion in the 90’s, for approximately a 15-year period there was not much hiring. When people in their 60’s with 30 years of experience are now retiring, we replace them with people who have only 15 years of experience. There is a 15-years gap, which is huge in bridge preservation because preservation requires experience. Its knowledge is based on seeing problems and trying solutions. In spite of knowledge sharing at the Partnerships, it is only after a decision is played out in practice that one can know if it was correct or no. This is not a reflection on the younger generation that is sharp and bright. I have a lot of faith in the younger generation given they have the time to develop some expertise. I am confident they will be able to move the bridge preservation issue to another level. There are two aspects of my work that I find most satisfactory. One is coming to the regional Partnerships meetings and hearing bridge practitioners being so honest about strengths and weaknesses of their program. They are inspiring with their honesty. The other aspect is of course the staff at the NCPP, who are wonderful people I enjoy working with. I respect their level of commitment. They really want everything to be perfect, which makes my job a joy. Steel corrosion tops the list of bridge preservation problems. It shortens the service life of bridges and can pose a safety issue. Once corrosion has started, it is very difficult, almost impossible, to stop it. In the US 40% of carbon steel is used to replace corroded steel at a cost of $425 B corresponding to approx. 2.5% of the GDP. This cost does take into consideration the additional cost related to suspending or limiting the use of steel damaged infrastructures. Galvanized steel is being increasingly adopted by DOTs as a mean to protect structural steel from corrosion. To know more about this growing technology I spoke with Kevin Irving, National Marketing Specialist with AZZ Metal Coatings. Kevin, who is based in the Chicago area, has more than 25 years of experience in the Hot-Dip Galvanizing (HDG) industry. He has many qualifications, such as being a certified coating inspector by the NACE International and a certified presenter of the American Galvanizers Association (AGA). He currently serves as a National Board Member for the Chemical Coaters Association International (CCAI) and as a member of the TRB Bridge Preservation Committee. He is industry director for the Western and Midwest TSP2 Bridge Preservation Partnerships. What are the benefits of HDG for bridge preservation? 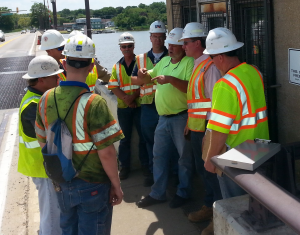 HDG increases bridge safety while reducing maintenance costs. It consists of applying a protective zinc coating to steel thereby preventing rusting and deterioration of the steel. Since zinc corrodes up to 30 times slower than steel, galvanizing dramatically reduces steel corrosion. Zinc adheres to steel through the metallurgical bond provided by HDG. What are major differences between galvanizing and other technologies for steel protection, such as metalizing and painting? Galvanizing, metalizing and zinc-rich paints all provide barrier protection to the underlying steel. What separates galvanizing from the other two technologies is the fact that galvanizing provides a metallurgical bond between zinc and steel, creating three zinc-iron alloy layers and a nearly pure zinc outer layer. Instead, metalizing and paints provide a mechanical, not a metallurgical bond, between coating and steel. The mechanical bond is generally considered as a less performing bond when compared to the metallurgical. All three technologies provide cathodic protection to the underlying steel although some types of zinc-rich paint provide less protection than others. If the coating gets scratched thereby exposing the steel, the zinc will preferentially corrode to protect the exposed area. HDG has the advantage of preventing scratches in the first place. In fact, the zinc-iron alloy layers created during galvanizing are harder than the base steel, making HDG much more abrasion resistant than other coatings. Can HDG be considered an innovative technology? HDG is a very good technology with an exceptional track record but it cannot be considered as an innovative technology. Some applications like the I-69 bridge northbound lanes near Indianapolis, the Stearns Bayou Bridge in Grand Haven, Michigan and the Ford County Bridge in Illinois were completed almost 50 years ago. These three bridges represent a success story since no maintenance has been needed to date and another 30 years of service life should be expected for all of them. Continuous-Galvanized Rebar (CGR) per ASTM A1094 produces a galvanized rebar with a pure zinc alloy coating structure. Although the continuous galvanizing process has been used for decades on galvanized automotive steel, its application to rebar is new. The CGR process allows long lengths of rebar sizes to be stored for fabrication and then formed without cracking, peeling or flaking, and without requiring special equipment for forming. The CGR coating passivates faster and corrodes at a slower rate than traditional HDG coatings. The CGR process is automated and faster, resulting in quicker lead times, repeatable quality and consistency in the coating. CGR can also be dual-coated with epoxy to produce a duplex coating according to ASTM A1055 specification. The additional epoxy barrier over CGR provides an affordable belt and suspenders approach for most extreme environments. Is galvanizing an expensive technology? According to Philip G. Rahrig, executive director for the AGA, the cost for HDG is approximately $1.76 per square foot. This cost should be slightly less for large tonnage jobs. What are the fields of application of galvanizing technology? The technology is widely used for steel structural elements, such as beams and rebars in reinforced concrete. It is also used for guard rails, street signs and posts. Could you briefly describe the galvanizing plant process for a steel beam, for example? In the HDG process, the steel beam comes to the galvanizing plant after being manufactured and prior to service. The first step of the process entails an inspection to check that no paint, mill markings and heavy grease are present on the steel surface. After the inspection the beam goes to a caustic degreasing bath to remove any grease, grime, oil, or dirt. Once rinsed in a water bath, the beam is immersed in an acid tank or pickling bath so as to remove of any mill scale or rust oxide. This is also followed by water rinsing. After cleaning, the steel beam is immersed in a flux tank. The flux is a combination of zinc, ammonium and chloride. At 160 degrees Fahrenheit, the flux bath deposits a light coating on the steel, which keeps it from oxidizing. The flux bath also preheats the steel. In the next and final step of the process the beam is submerged in a galvanizing kettle. This bath must have a minimum of 98-percent pure zinc to meet ASTM A123 requirements. The galvanizing kettle is heated to a temperature ranging from 830 to 840 degrees Fahrenheit, at which point the zinc is in a liquid state. The steel beam remains in the zinc bath until the steel reaches the bath temperature. When the beam comes out from the kettle, the zinc coating must have a minimum thickness of 3.9 mils for steel more than 1/4-inch thick (ASTM A123). It usually takes approximately three hours to complete the process from beginning to end. The steel is typically immersed in the molten zinc in the galvanizing kettle for less than 10 minutes. There are currently more than 75 plants in the United States that can provide galvanizing for steel elements for bridge construction. What are the challenges in the HDG process and the steps to ensure it is properly done? It is extremely important to check placement and number of vent and drain holes prior to the galvanizing bath. This ensures safety during immersion of the steel in the molten zinc by allowing pressure to escape from air and moisture present in internal sections of fabrications. It also allows the molten zinc to contact and form the HDG coating on all internal and external surfaces. Vent and drain hole requirements are outlined in ASTM A385. It is also preferred that the piece is completely fabricated before being galvanized so as to avoid welding after the galvanizing process. If welding is needed after HDG, the zinc must be burnt off with a torch or ground off until there are sparks in order to be sure that the steel substrate is reached. Upon completion of welding, it is necessary to restore corrosion protection on the area where the galvanizing was removed and on the weld. It is good practice to communicate with the galvanizer prior to design and fabrication. This provides the best opportunity to address design details that could affect the formation of the HDG coating. Can you share a case study? The Stearns Bayou Bridge in Grand Haven, Michigan, was galvanized and installed in 1966. The steel is in very good conditions without having required any maintenance from the time of construction. This county bridge is 430 feet long with a 30-foot clear roadway and a 5-foot walkway along each side. The majority of the steelwork is 6 feet above a freshwater river in a rural location. The bridge experiences light to moderate traffic and the entire bridge is subject to winter salting. After 51 years following the construction, all the beams and diagrams are in very good shape showing no signs of rusting or staining despite the fact that the bridge is subjected to snow and deicing salts. The average zinc coating thickness is 5.4 mils, which indicates that HDG will continue to provide corrosion protection for decades in this environment. All bolted connections also show no signs of rust. However, in five places on the tubular rails on the top of the bridge there are signs that the zinc has been completely consumed thus exposing the metal substrate. The preservation process for these areas simply requires applying a zinc rich paint over the exposed steel. The rest of the rails should be power washed with some type of salt mediation and painted over without sandblasting on a completely dry surface. Standard specifications (ASTM D6386 and SSPC Guide 19) must be used as guidance for the paint application.